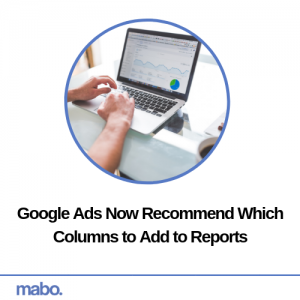 Google Ads announced the introduction of a new “recommended columns” feature. This has been designed to highlight the columns of data that are worth advertisers paying attention to. They will be recommended to users based on the individuals campaign and account settings, so when the advertiser makes a change, the column recommendations will be amended accordingly. For advertisers, this means users will now have a choice when it comes to adding the ‘Bid Strategy Type’ column, before, this used to be a required column in all campaign reports. These column recommendations are automatically turned on by default for all Google Ads users, however can be turned off for specific columns, or all together. Should you keep them, Google’s recommended columns will be underlined in blue.